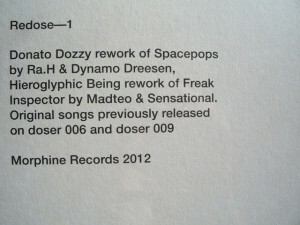 It might sound as an exaggeration, but the upcoming single on Rabih Beaini’s Morphine Records is from another dimension. The effect is intoxicating, by means of sound and voice processing executed by producers at the very Olympus of today’s electronic music. 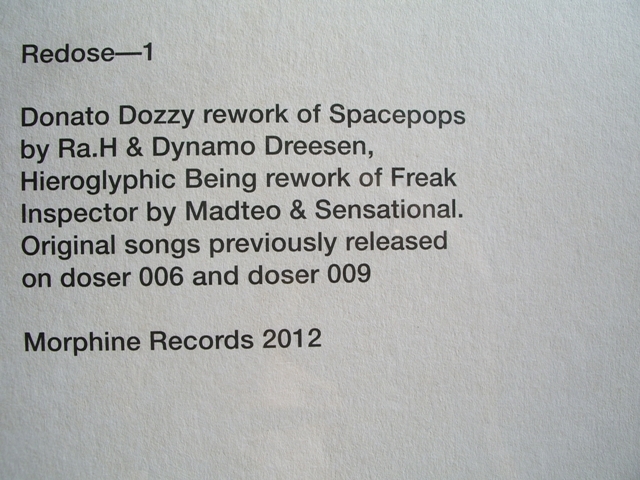 Two tracks from the label’s back catalog have been picked for reworks: Beaini’s own “Spacepops” is deformed by Donato Dozzy into effervescent acid psychedelia with Dynamo Dreesen’s alienated voice. Hieroglyphic Being’s bold-bass version of Madteo’s “Freak Inspector” comes with his trademark abstract jacking undertones and Sensational’s abraded voice, all that resulting in otherworldly experience. Alice in Wonderland would dig it.